Are you a practical lawyer as well as a strategic partner to your internal business clients? Do you strive for excellence and are you dedicated to continuous improvement? Reporting to the Senior Vice President, General Counsel and Corporate Secretary, you will support a variety of internal clients in all aspects of the LCBO’s business, including our obligations as a Crown corporation wholly owned by the Province of Ontario. Supporting the operations of the LCBO by providing legal advice on a range of matters including complex legal, business, regulatory and policy issues and any disputes that may arise in relation to contracts. Assessing and communicating legal risk while collaborating on the development of business strategies. Reviewing and negotiating a variety of commercial agreements, and working with internal client groups to ensure contractual relationships with vendors and clients support LCBO’s business goals. A Bachelor of Laws (LL.B) or Juris Doctor (J.D.) degree. Membership in good standing with the Law Society of Ontario. 3 to 7 years of post call experience dealing with a variety of commercial law matters, gained from a major law firm or large in-house legal department. Exceptional business judgement, relationship-building skills, and creativity. Ability to take leadership of and manage legal projects. Strong communication and interpersonal skills with the ability to present issues, options and recommendations to both technical and non-technical audiences. Experience managing multiple priorities, stakeholders, and deadlines. Solid legal training and pragmatic experience in corporate and commercial legal matters. Diversity and inclusion matter at LCBO. If contacted for an interview, please advise if you require accommodation in accordance with the Ontario Human Rights Code and the Accessibility for Ontarians with Disabilities Act. Please apply at lcbo.com/careers, to Talent Acquisition, LCBO, quoting File #LCB-002/2019, by February 8, 2019. We appreciate your interest, and advise that only those selected for an interview will be contacted. 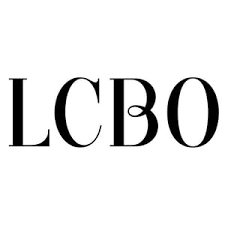 The LCBO (Liquor Control Board of Ontario) is an Ontario government enterprise and one of the world’s largest buyers and retailers of beverage alcohol. Through more than 650 retail stores, catalogues, special order services and more than 210 agency stores the LCBO offers nearly 24,000 products annually to consumers and licensed establishments from more than 80 countries. Revenues from the LCBO help pay for important public services including health care, education and infrastructure. Corporate social responsibility is a key element of the LCBO’s mandate and has been since its inception in 1927. LCBO has a number of initiatives encouraging responsible consumption and entertaining in addition to our involvement in the community and fundraising for registered charities. As a major retailer, the LCBO has initiated many environmental programs to minimize our environmental footprint and contribute positively to environmental sustainability and stewardship in our province.